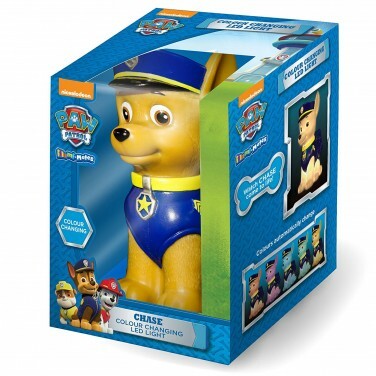 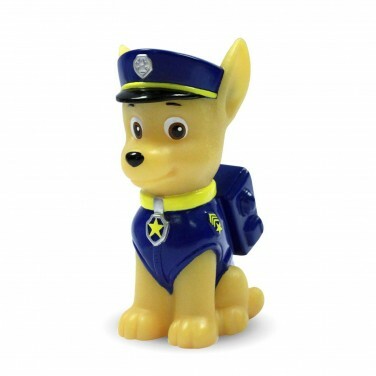 All action Paw Patrol pup Chase is on the case to bring comfort and reassurance to your little one at night. 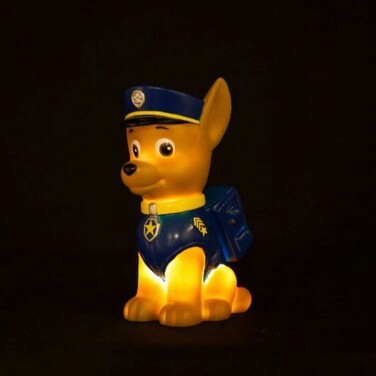 Lit by a colour change LED, Chase scrolls through a subtle colour change to give a gentle glow at night. 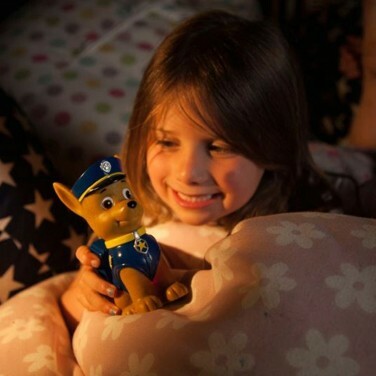 Battery operated, Chase remains cool to the touch so that little ones can give him a cuddle at night and can even take him on holiday or on sleepovers too.